Did you know that according to the World Health Organization, ninety-two percent of the world population breathes substandard air? 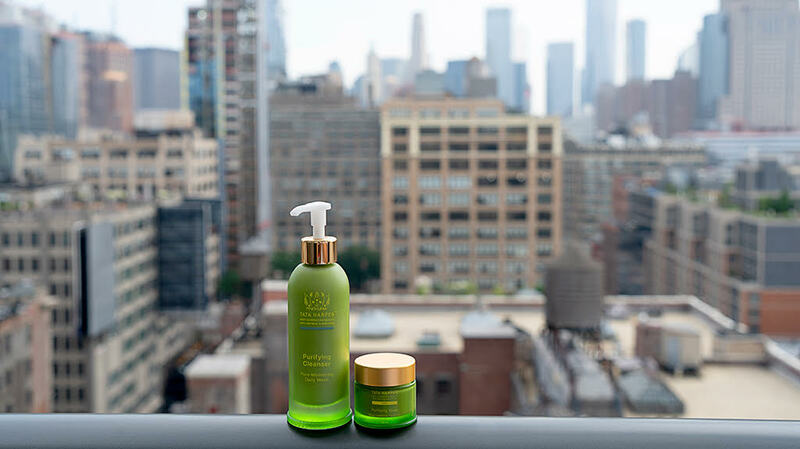 At Tata Harper, we're committed to living sustainable lifestyles that aide in the fight against pollution - but we also understand the urgent need to protect our skin with the right products. What Does Pollution do to my Skin? Between city living and constant traveling - sometimes the lifestyles we love can take a serious toll on our skin. Pollution from car emissions, construction sites, smoke, and other sources can penetrate deep down into your pores and get, well, stuck there! This can cause hyperpigmentation, loss of elasticity, and clogged pores. Pollution also can break down collagen faster and lead to premature aging. In order to fight back, you must deeply cleanse your skin! Our Purifying Family is your daily detox treatment to purge impurities from pollution and help skin return to a balanced state. Our Purifying Mask and Purifying Cleanser are formulated to combat pollution by detoxing the pores of impurities for the freshest skin. Double Cleansing is more important than ever when fighting pollution. Start with Nourishing Oil Cleanser on dry skin to break down makeup and the first level of impurities. Follow with our Purifying Cleanser, this gel-to-oil cleanser is every city dweller’s holy grail. As a daily detox treatment, the formula purifies skin with 13 sources to detox, 8 sources to dissolve buildup, and 6 sources to refine pores. Not only does the formula smell and feel divine, but broccoli extract is our major detoxification workerbee. It works overtime as an antioxidant to protect your skin from environmental stress and pollution. Apply a thick layer of Purifying Mask for an even deeper clean. You can use this award-winning mask up to three times a week for an intense detox treatment. This mask purges impurities from pollutants with superstar ingredients like prickly pear seed oil and star aster. Prickly pear seed oil is rich in antioxidants and packed with nutrients such as vitamin E and essential fatty acids. It also contains the highest amount of Betanin- an antioxidant that prevents free radical damage- among all known plants. Star aster is an anti anti-inflammatory, and helps to protect cells against air pollution and oxidative stress... all while promoting detoxification. Leave the purifying mask on for 10-20 minutes then rinse clean for the freshest skin. In need of a really deep clean? We love mixing a little Purifying Cleanser and Purifying Mask then applying to clean skin for maximum results. Leave on for 10 minutes and rinse. 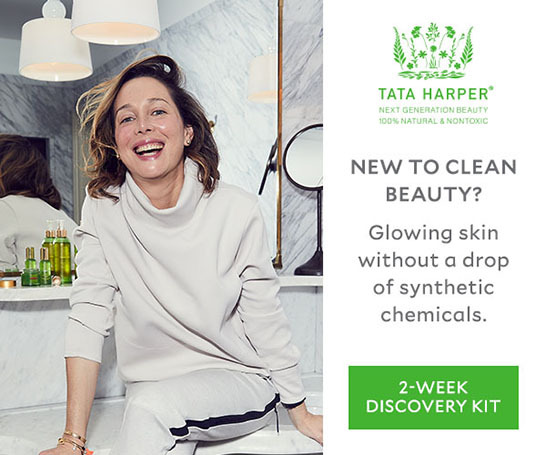 Finish this powerful anti-pollution regime with your favorite Tata Harper moisturizer, and rest easy knowing that your skin has been officially detoxed from everything life threw at you that day. Contact our Skincare Concierge team to ask any questions you may have and find the skin detox rituals custom fit to your unique skincare needs.